In our American society of fast food, cell phones, and instant-internet access, people have come to expect instant success in life. Unfortunately, many people are disappointed by lack of success because of their instant gratification mindset and lack of commitment to put any effort into cultivating their opportunities. A garden doesn’t grow unless someone takes the time to toil the land, plant the seeds, and water the plants. 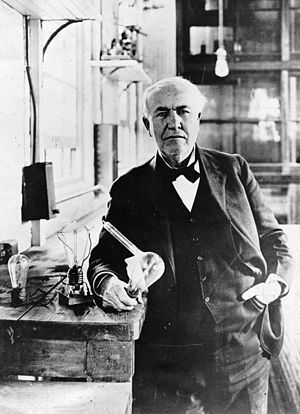 Thomas Edison said, “There is more opportunity than there are people to see it.” Why did this genius inventor make such an observation? I think it is because people hold such short-term views of success that they become blind to the life-changing opportunities that require real work and long-term commitment. I’m certain Mr. Edison took a lot of time, effort, and commitment to create the light bulb into a common everyday household good that we now take for granted and expect as an American right of life. I believe the opportunity principle is the same for every opportunity in life – the bigger the opportunity, the deeper the commitment and the more work required to successfully cultivate it. The opportunity to have great relationships with people involves time, effort, and long-term commitment. It’s the same with the opportunity to maintain and live a healthy lifestyle or be a good steward of your financial resources. Becoming an educated person doesn’t happen overnight; it’s a life-long developmental process for the growing individual. And most importantly, the opportunity to possess a real relationship with God requires a hunger and a thirst to seek after Him and His Kingdom on a daily basis through time in prayer and the study of His Word. The Make It Happen Moment ® Opportunity Knocks Copyright 2005, The Make It Happen Learning Institute. You have permission to reprint The Make It Happen Moment ® Opportunity Knocks, in its entirety only, and forward to your colleagues and friends, provided the copyright notice remains part of the reprint and transmission. All other rights reserved.